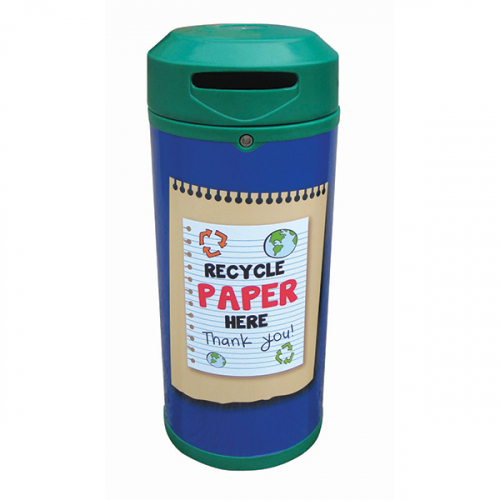 The Continental Paper recycling bin is ideal for recycling paper in a wide range of locations such as schools, colleges, leisure centres, and parks. 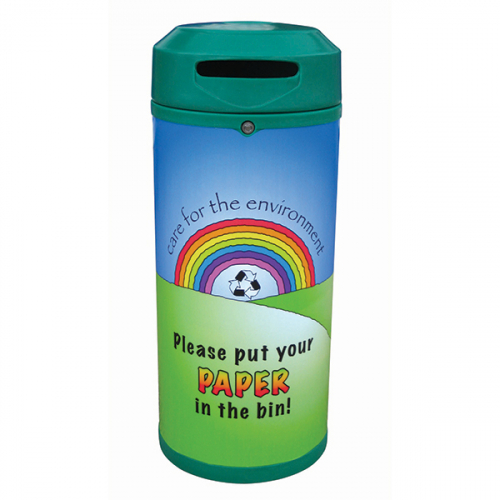 The Continental paper recycling bin is available with a choice of two graphics which clearly indicate what is being collected inside the bin. 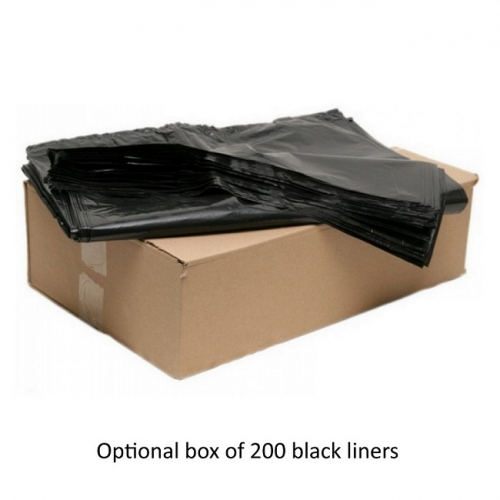 The bin can be free standing or to prevent from being moved or stolen can be securely fixed to the ground using the optional ground fixing bolts.